I was hired by Joe Field, the owner of Flying Colors Comics, to design an ad for 18 different comic shops to run in IDW Publishing comics for a month. We decided to go with an ad that referenced vintage comic ads, but with slightly weirder images than you might see in the original. 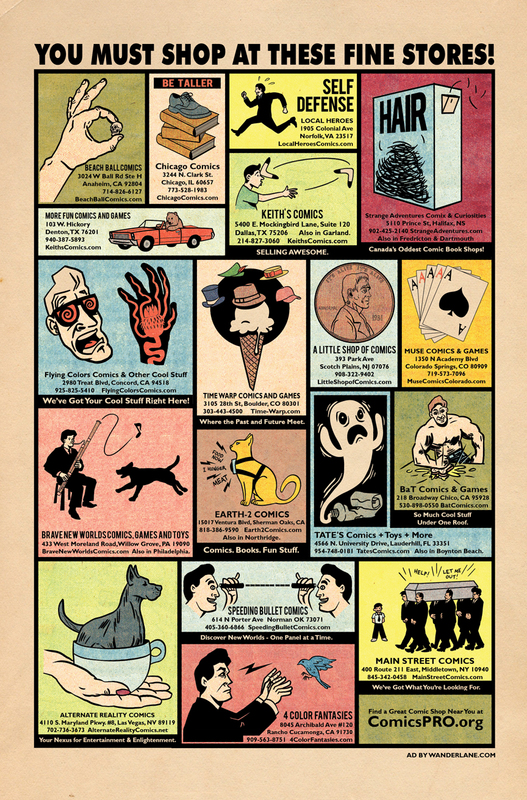 I created eighteen original illustrations, laid out the page, and colored it in the style of 70’s 4-color comics.